27.03., 31.03., 03.04., 07.04., 10.04., 14.04., 18.04., 21.04., 24.04., 27.04.2017. You can read about halotherapy and its effects in our feature Effects on your Mind and Body, but let us now focus on prana. 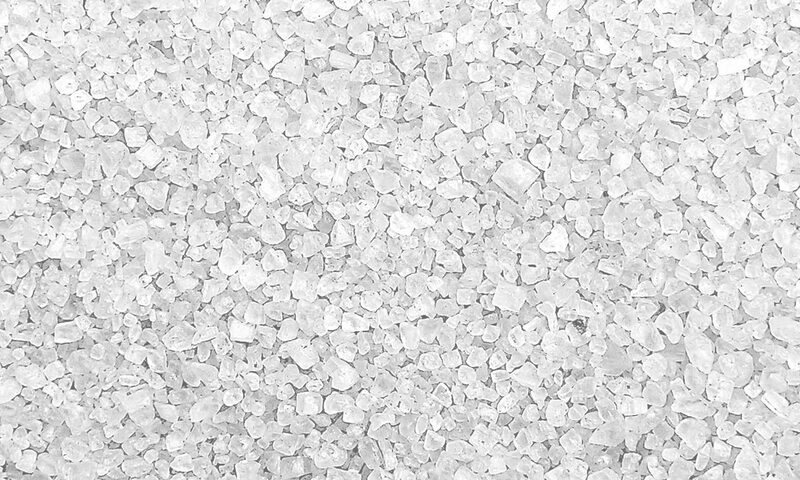 In the Sanskrit language, PRAN means "vitality" and "life force" that we take in, more or less, with quality food and water, but primarily by breathing. How and what we breathe depends on us, and the indicators that show us whether we do that in good way are whether we feel tired, fatigue, whether we have a decreased immunity, which opens the door to allergies, illness and a poor general psychological state of the mind and the body, in which we are reflected, making it beautiful, while, consciously and unconsciously, hiding the inner state of health. 5-millennial yogic experience proves connection of the olfactory nerve with the brain, providing a direct flow of oxygen to the brain, which has a direct and refreshing, beneficial effect on the body. 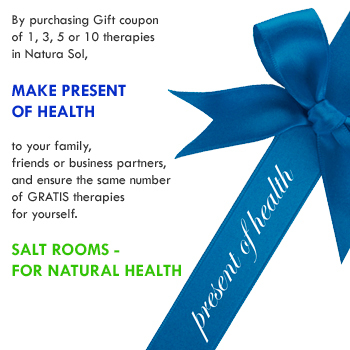 Combining PilatesYoga and Halotherapy on the mat, in the NATURA SOL's salt room, we want to give you a better 2 in 1: halotherapy yoga and relaxation. 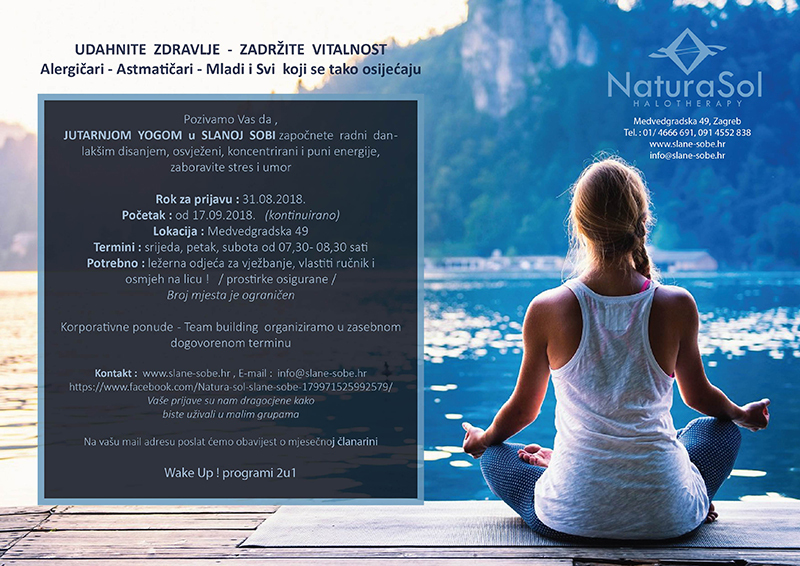 Peace and energy are your protective mechanism from stress and great for strengthening of immunity during the winter and spring period of the year, so sign up now! Enjoy in a pleasant space and harmony of essential oils with us! Send the link of this workshop to your friends who want to LIVE HEALTHY!